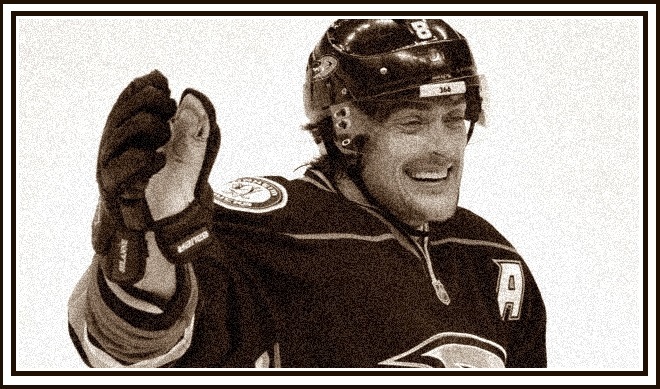 As I write this, Teemu Selanne is playing one of the final games of a long and stellar career. He is a shoe-in for a place in the Hockey Hall of Fame, but I will argue here that perhaps a greater honour should be bestowed upon him when the time comes. Earlier today, two former popes were introduced into sainthood. In the Roman Catholic tradition, the canonization process involves scouring records around the world for two miracles that can be attributed to the individual that is to be declared a saint. It is a somewhat farcical process where fortunate coincidences involving the individual are deemed to be miracles and subsequently used to justify a decision to canonize that has already been made. These incidences usually involve gravely ill people making an unexplained recovery after praying to or being blessed by the individual in question. Given the number of gravely ill people who look to high profile religious figures for help, it would be a statistical anomaly if at least two so-called miracles did not occur. If you ask me, the canonization process should be more like the process of appointing a judge to the Supreme Court. The appointment should be proposed by the Pope, then vetted by a council of wise Bishops before becoming official. The whole “miracle” facade should be dispensed with. There is little chance that it will be however, so if this is the standard that we’re setting, I think Teemu should be considered a future candidate. Teemu made a promise to young Faryan that if he recovered from his illness, he would be a special guest of Teemu’s at a Duck’s game. It is nothing new for Teemu Selanne though. The Finnish Flash has spent a great deal of time visiting and encouraging sick kids, both here in North America and back home in Finland where he has established a foundation to help sick children. No doubt many other kids have been touched by the aura of Saint Teemu. And if, by chance, a second miracle cannot be found in the records of the children’s hospitals, how is this for a miracle: the 43 year old hockey player has assisted on the first two Anaheim Ducks goals in a feisty playoff game against the Dallas Stars tonight … almost 22 years after scoring two assists in his very first NHL game. If that isn’t enough, here is even more evidence of his unique impact on people: after playing only 3 1/2 years in Winnipeg, Selanne has made such an impression upon the city that crusty and bitter Winnipeggers perk up at the very mention of his name, die-hard Jets fans don’t know who to cheer for when he comes to town … and at least one fan in Winnipeg has even gone so far as to suggest that Teemu should be inducted into Sainthood. Est-il possible ԁe vous reprendre quelques phrases pour un blօg perso ?